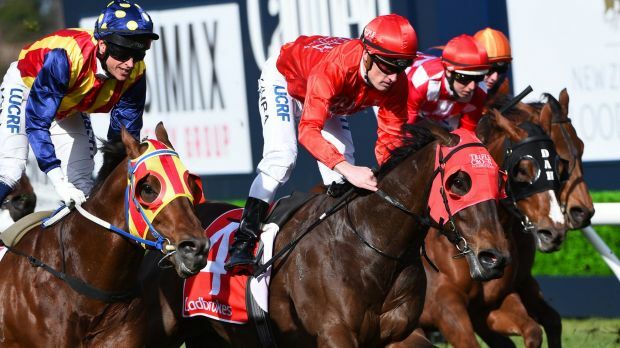 Triple Crown Syndications speedster Redzel raised the bar again at Caulfield on Saturday to make it back-to-back wins for the son of Snitzel. After drawing the visitors barrier, the widest in a 13 horse field, the brilliant 4YO was simply too fast for his rivals in the Group 3 The Heath Stakes over 1100m. Following on from his recent thrilling all the way victory in the Listed July Sprint at Canterbury, the Peter and Paul Snowden trained galloper was set for this Group 3 assignment. With a jump and run style Melbourne hoop Mark Zahra rode him perfectly. Spearing across from out wide Redzel was in front within 100m and that is where he stayed. “He’s fast and Pete said one furlong is all you need to get a break and then get going again” Mark Zahra said post-race. Group 1 winner Under The Lourve was flying late but Redzel and Mark Zahra had done enough to hold out the handy sprinter who will feature throughout the Spring Carnival. Redzel returned to the Snowden Racing stables at Randwick on Sunday where he is likely to have one month between races before we see this flashy son of Snitzel burn around the track again. The $120,000 yearling purchased by Michael and Chris Ward of Triple Crown Syndication has now earnt over $323,000 with plenty of racing still ahead of him. 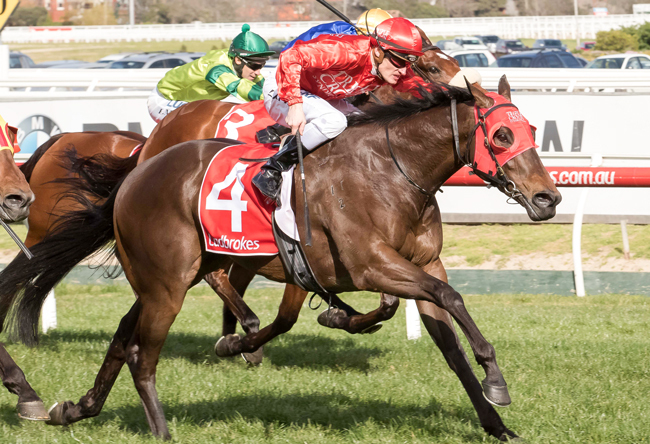 Redzel was the first of a double for Peter and Paul Snowden at Caulfield with stablemate Defcon accelerating away to win the Group 3 HDF McNeil Stakes just 30 minutes after Redzel.